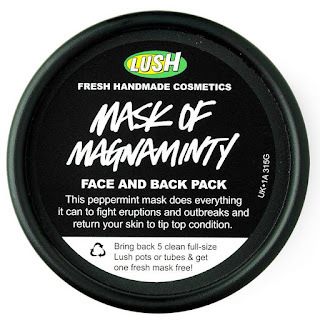 As it is now 2017, I thought that I would tell you guys what I've been buying from Lush recently, There is a fair amount of products so it might be best to grab a drink of your choice before reading this post. Christmas isn't Christmas without a Christmas Pudding! Now, I hate Christmas Pudding but I do love to enjoy its bath counterpart which is the Luxury Lush Pud. 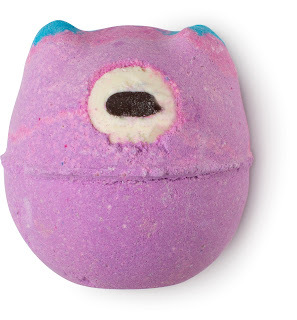 I love the fact that this bath bomb resembles a quirky sort of Christmas Pudding. I love the spots of colour that mix with the dark purple in the bath! This bomb consists of Mandarin and Bergamot Oils and Orange Flower Absolute. I had such a bad addiction to GW's last year so I obviously had to pick a few up! 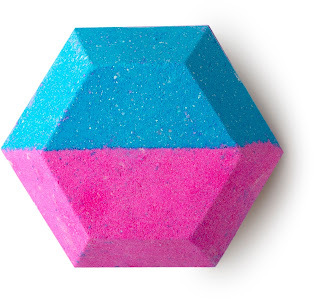 I love this bath bomb for many reasons. I love the fact that this is a present in a present which is shown via the bath bomb having the stars in the middle of the bomb. I also love how the lustre in this bomb isn't smothered on the outside which I love sometimes but I also love the surprise of the lustre more. I also love the scent which consists of Sweet Orange Oil, Cognac Oil and Lime Oil. I love that slightly boozy citrus smell. MY BUBBLES! Bubbly is basically the shower gel version of Golden Wonder but I love it as it doesn't have glitter but instead has a stronger scent compared to Golden Wonder so its one of those gels to use first thing in the morning. 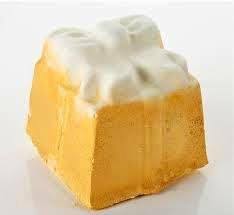 It would be great to pair it up with a Golden Wonder in the bath! This is a shower cream not a shower gel. The difference is normally that the creams are well creamy and thicker in consistency compared to a gel and normally has moisturising ingredients within such as Cocoa Butter. This cream contains a Patchouli & Peppercorn infusion, Patchouli Oil, Black Pepper Oil and Vanilla Absolute. This creates an amazing spicy yet slightly sweet scent and tints the skin green for a brief moment which I love. This ballistic contains a plethora of ingredients such as popping candy and much more, The scent of this product mainly consists of Vetivert Oil, Tonka Absolute and Vanilla Absolute which create a smoky deep scent with a subtle hint of sweet. 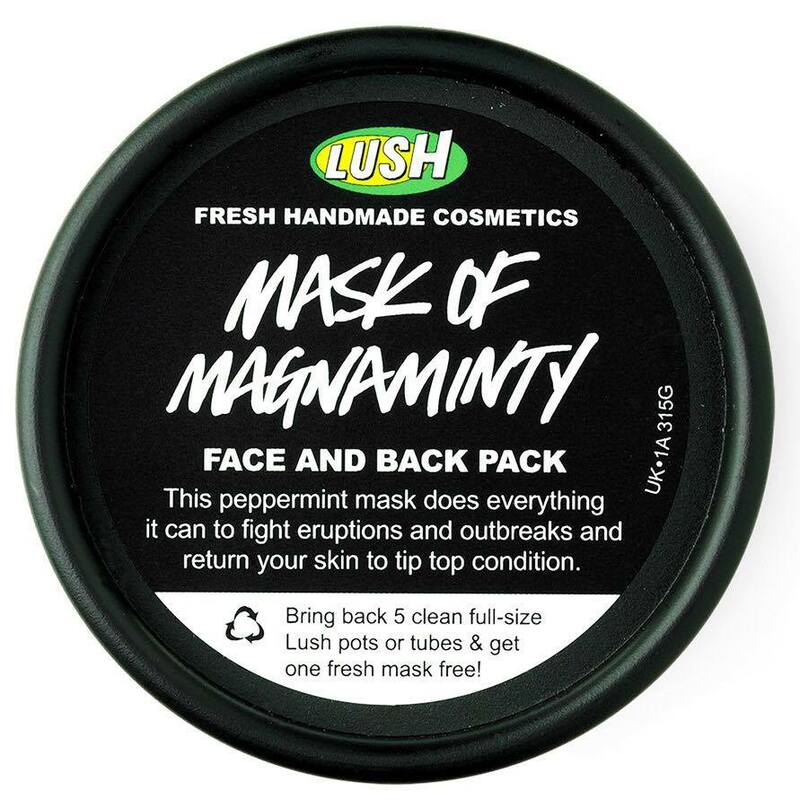 It's lovely in the bath and is great to use on those cold nights! Monsters Ball was a Halloween exclusive but has been out on the kitchen and I think in stores before via The Enchanter. 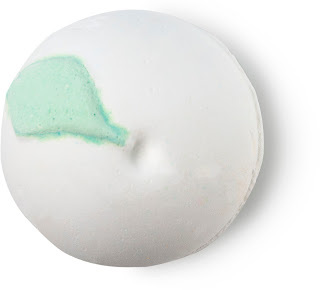 This product consists of Lime and Neroli which is the core of the beloved Calacas range which most Lushies adore. I haven't tried yet but I love Lime and Neroli together! I also love how this bomb reminded me of Mike from Monsters Inc.
Mirror, mirror, on the wall/ Who is the fairest of them all? 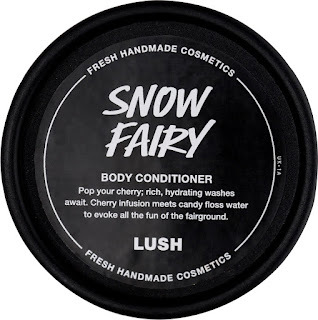 So White bath ballistic plays homage to Snow White and is normally a staple in the Lush Christmas range. This bath bomb contains Brazilian Orange, Bergamot, and Neroli Oils and Rose & Orange Flower Absolute to somehow create a fresh Granny Smith Apple like scent. Everyone loves a cult classic! Would it really be a Lush Christmas range without some form of Snow Fairy? This perfectly pink product has been released in a few different formats this year which include a Conditioner that you wash off in the shower/bath and a multipurpose FUN which can be used as shampoo and much more. I'm not the biggest fan of SF but I loved the conditioner due to it being not as strong as the shower gel. Have you enjoyed my little Lush Haul? Have you used any of the products? Did you buy any of the above over the festive period? Let me know down below! I hope that you come back next time for another post whether that be about Lush or anything else! * = sample that I got from a Lush store that I've tried out. All pictures were provided by Lush PR. Everything in this post was paid by myself and my opinions in this post are all my own!